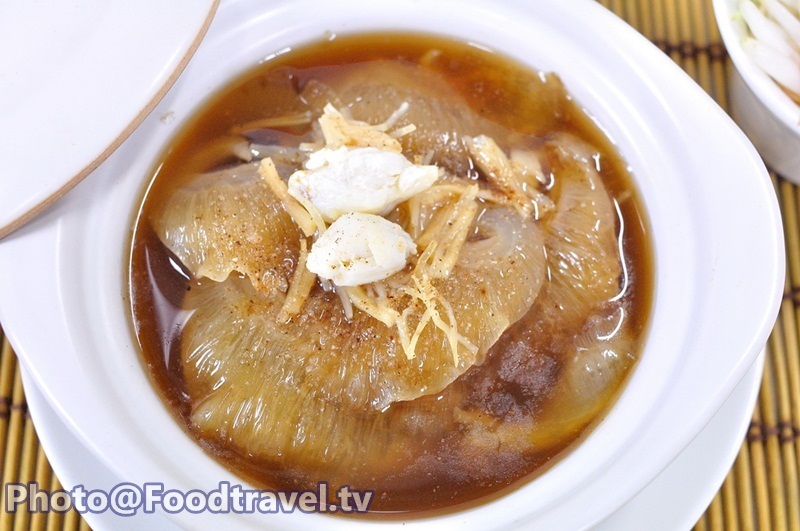 Shark Fin in Brown Sauce (Hu Cha Lam Nam Dang) - If we’re talking about Chinese cuisine which is widely popular, it’s must be ‘Shark's Fin in Brown Sauce. For this recipe, I have learned from my mother 15 years ago. 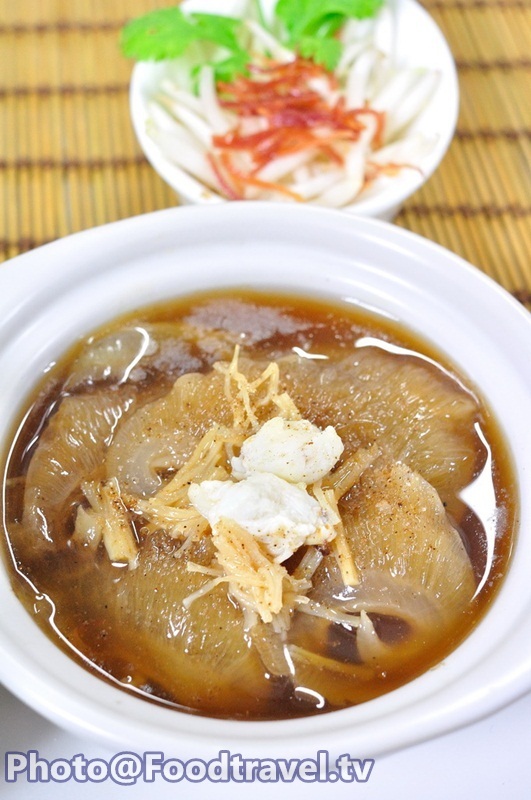 And I feel greatly honored to make Shark's Fin in Brown Sauce for you guys to watch today. 1. 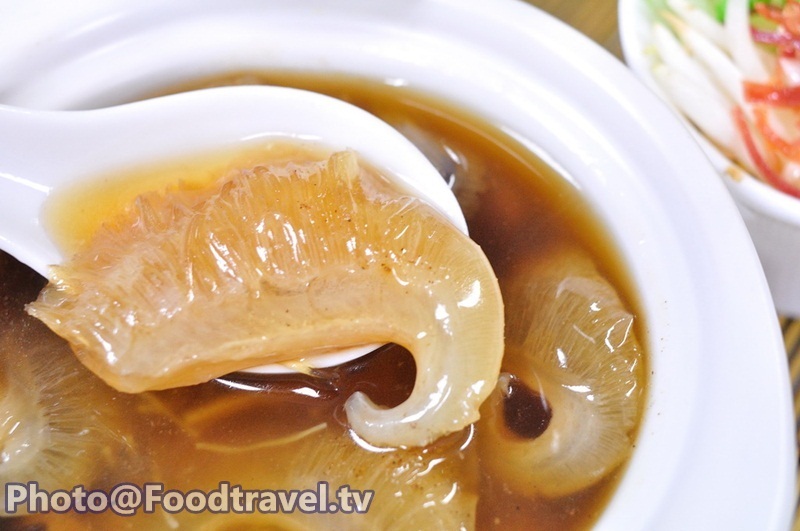 Mix oyster sauce, sugar, soy sauce together and set aside. 2. 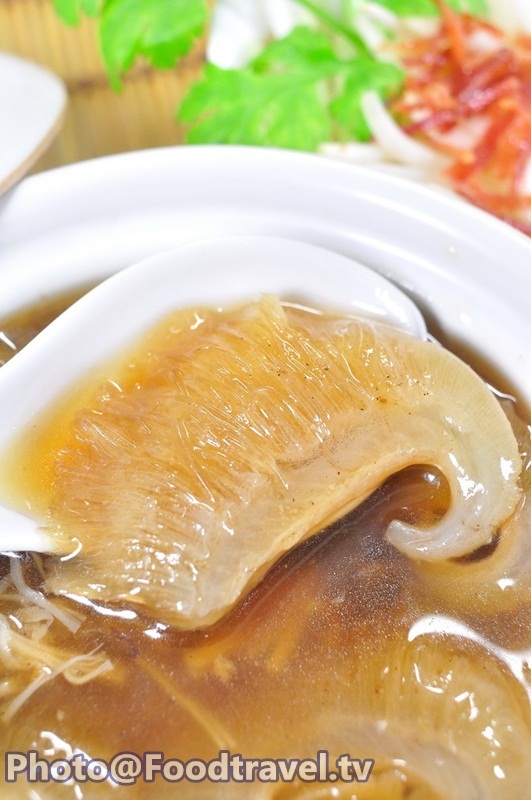 Warm 5 cups shark fin soup. Add Chinese liquor and simmer soup until dry out about 4 cups and taste it. 3. Gradually add the sauce in small increments. Add black soy sauce and stir with tapioca flour until thicken. 4. 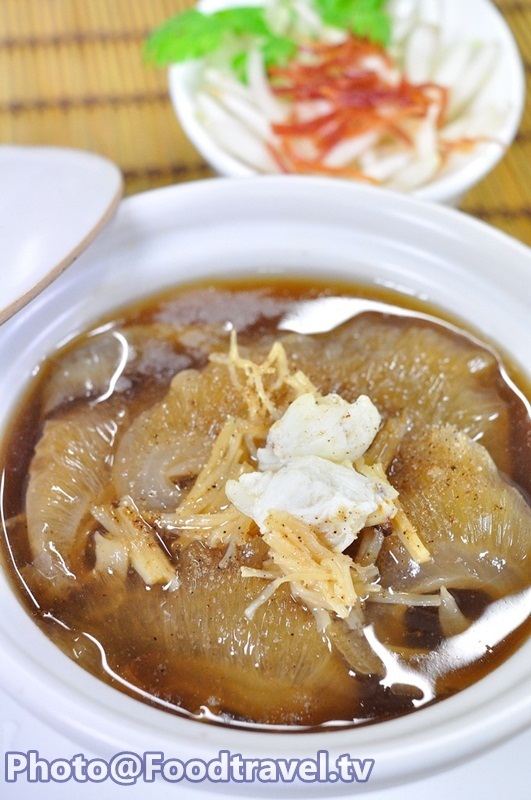 Steam shark fin until soft, add mushrooms, pour soup down and sprinkle with pepper, Kang Puey and shred crab. 5. 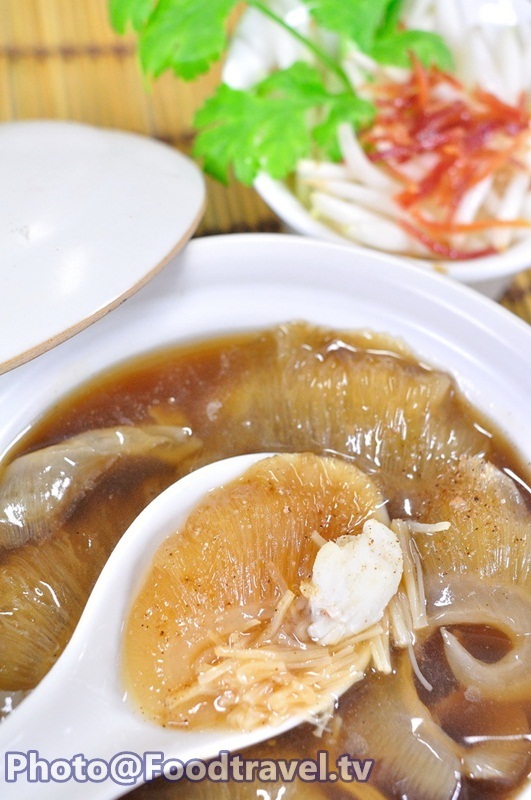 Serve with raw bean sprouts, coriander, Yunnan ham, Chinese vinegar and ready to eat. 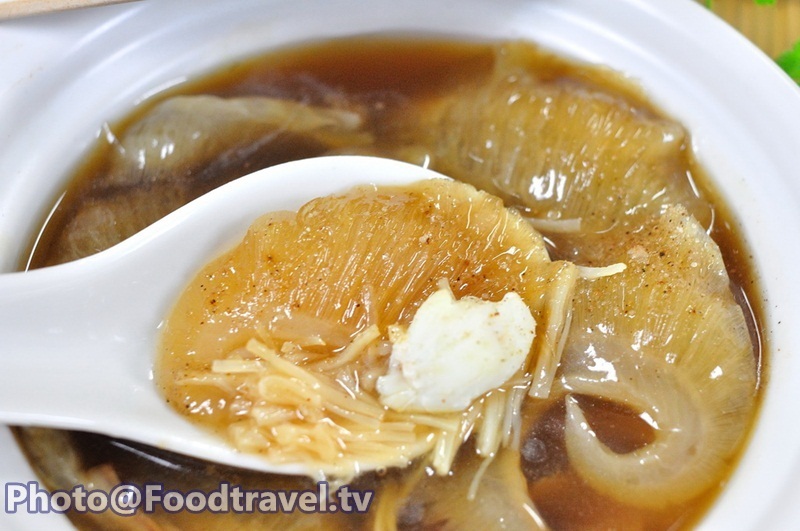 Shark Fin in Brown Sauce (Hu Cha Lam Nam Dang) - If we’re talking about Chinese cuisine which is widely popular, it’s must be ‘Sharks Fin in Brown Sauce. For this recipe, I have learned from my mother 15 years ago. 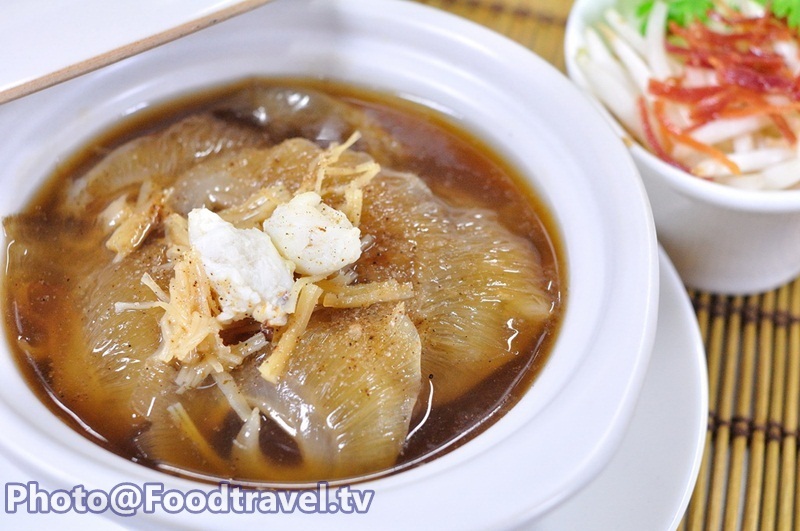 And I feel greatly honored to make Sharks Fin in Brown Sauce for you guys to watch today.